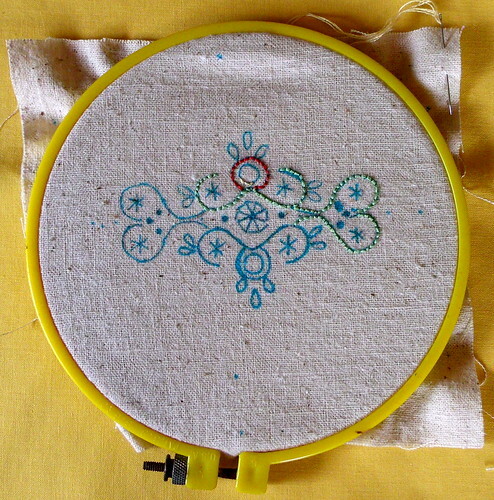 The pattern is one of the motifs from the Tree of Life pattern from Polka & Bloom. I altered the dimensions of the thread bin a bit to accommodate the embroidery and still have room for a strip of contrast fabric around the top. Thinking of doing a running stitch in perle cotton either around the top and bottom edges of the contrast fabric, which I haven’t picked out yet, but maybe yellow. Yellow is good.